Speak of a stylish personality without being wordy as you slip on the Moving Jeweled Sun Belly Ring. 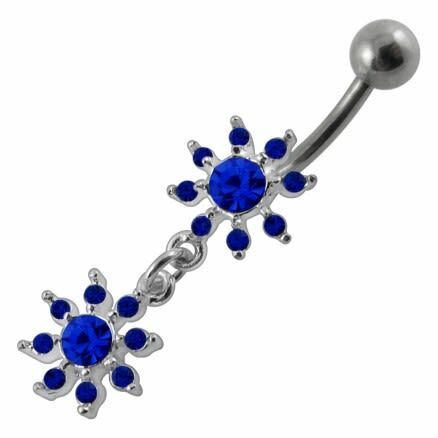 It features a Titanium (or) 316L Surgical Steel bar, a Titanium (or) 316L Surgical Steel bar, and a 925 Sterling Silver charm part. 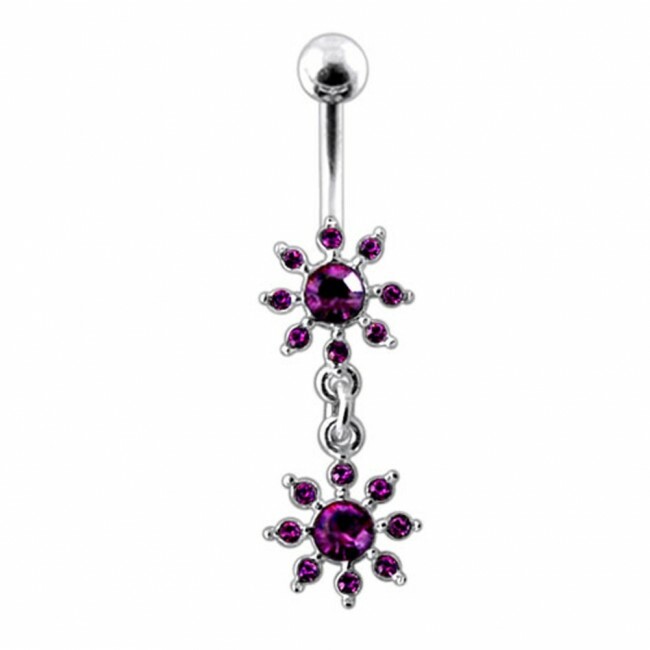 Find this fancy crystal-studded navel ring in a standard size: 14 G-10 mm-5 mm.